It is 3 more seats instead of 20, and if my prediction is correct on where they will be used, most of the riders are going to be standing. Among other things, CTA is not interested in teaching the public anything, and Mitsubishi (as indicted in the Manitoba video) isn't selling anything to the public. Publicity will be the wrap, and maybe some car cards, like Bombardier was reported to have posted after they took the PR hit on the recalls. Besides that, the recent minutes indicate that the Museum of Science and Industry would have to pay the incremental operating cost, and the route only runs weekends when it isn't vacation time. I don't think anyone said what the miles range of the battery pack is, but you are right that at some point there would have to be a recharging station along the route, as it would seem too big of a risk to have to deadhead from 57th and LSD to Jackson and Kedzie if they don't have real time data on the range. The other issue (besides power consumption for going 45 mph compared to 6) is that express running doesn't give much opportunity for regenerative braking, but while this might have had some influence on where the 800s and 900s were placed, apparently did not come into consideration for the articulateds. But, again, I bet that the degree of recharging resulting from regenerative braking will be a big part of this test. Among other things, CTA is not interested in teaching the public anything, and Mitsubishi (as indicted in the Alberta video) isn't selling anything to the public. Publicity will be the wrap, and maybe some car cards, like Bombardier was reported to have posted after they took the PR hit on the recalls. From what I'm reading it sounds like they have 10 miles to work with if they plan on recharging in five minute increments at the terminal. If only one end of the route has a charger set up then that's five miles. But on a full charge they should get around 100 miles. Sounds like these buses will be working the day shift. I don't know if they can get a full day out of them. I wonder can they drive the bus 80 miles and park it at a terminal charge it for x amount of time and drive for another 80 miles. Buses that stay out all day can drive up to 120 miles or greater depending on the route. If the range was 150 miles they would only need a charger at the garage. It appears that charging on route would be "topping off." But essentially your question gets down to what the layover would be at the charging point. I suppose it could stay parked there for a half hour, but then some other bus would have to pick up the missed trip. If one takes my assumption that the 2 buses will be assigned to 124, if I am reading the weekend schedule correctly, the route takes 3 buses, and there is a 7 minute layover at Navy Pier and a 13 minute layover at Union Station. Maybe that provides enough time to recharge at Union Station, but otherwise they are going to have to alter the schedule. I was thinking that 157 is a similar, but longer route, but it appears that the only place it has a layover is at Mt. Sinai Hospital (certainly not at Union Station), and a recharging station there doesn't get you much over just going to the Kedzie Garage. Again, I'm sure that this is one of the things the test will have to determine. Whilel Busjack makes valid points about the 124 being the mostl likely candidate for the route of choice for these new buses, I still wonder if the 126, 52, or 82 may be viable options as well. These three routes, along with the 7 (which some buses interline with the 126) are closest to Kedzie garage. In the case of the 126, 7, and 52, these routes have turnarounds that the CTA owns on at least one end of the route which would be a perfect place to put chargers. Also this gives an opportunity to have these buses short turn to the garage if need be. The question is how many miles or hours between charges? By analogy to 800s and 900s could be. As you note, the mileage is the question. The step at the angle is typical. The CUMTD's Xcelsior has the same step. Looks like the receding lights and advertisement placement covers beginning at the step are also typical. An interesting note is that the CUMTD does not have that row of four aisle-facing seats. Rather it's just two rows of double forward-facing seats. Are you referring to the seats over the securement area, or,as Mel pointed out, the ones over the battery box? If you are referring to the securement area, then where do CUMTD buses have theirs? The ones over the battery box. I didn't catch Mel's post, but that's probably the reason for the inward-facing seats as opposed to the CUMTD. The securement area for the MTD is also slightly different: 3 folding aisle seats and 2 folding front seats. It's been rare seeing the Xcelsiors over the summer. I'll try to get some pics the next time I'm on one. I don't know about hours, but I remember hearing something about wanting to get 100-200 miles between charges, which would be the average length of standard routes throughout several hours of service. The ones over the battery box. I didn't catch Mel's post, but that's probably the reason for the inward-facing seats as opposed to the CUMTD. .. I noted the box pretty immediately, in that there obviously isn't any place to put your feet if the seats faced the front. But maybe that was more obvious to me because the Pace Orion VIs are similar on the right side. Since the two of us mentioned the securement area, it isn't clear from the picture what the situation is on the right side (i.e. I don't see backs of flip seats there). But then again Ogden/California is not too far from Kedzie garage. The bus could do a few trips deadhead to the garage charge up and come back out. But then I'm wondering could the bus run a tripper service? it should be able to, which could put it on any Kedzie route. That must be #57 at Milwaukee Intermodal Station downtown in the second pic? Yep, they are wider & taller than the standard New Flyer models & as of 2014, the Xcelsior series is the only model New Flyer produces. Those are more probable than the #10. It's rare to even see 800s and 900s on that one despite 4000s having been on all the Lake Shore expresses and now hybrid 4300s on the south Lake Shore express routes showing that 800s and 900s on the 10 wouldn't be too much a problem. If the range is good as far as local route service goes, BusHunter's allusion to the 157 is also valid. But with these being all electric as far as propulsion goes without diesel as a backup like with any of the hybrid models to account for the higher energy expenditures in going up to 45 MPH on the South Drive along with Busjack's point that MSI would have to foot part of the operating cost for using them on the 10, I don't see these going on the 10. Makes me want to visit there again and take a nice ride on one of them. I'm surprised that those along the 5400s finally have the LEDs (route numbers) on the back. 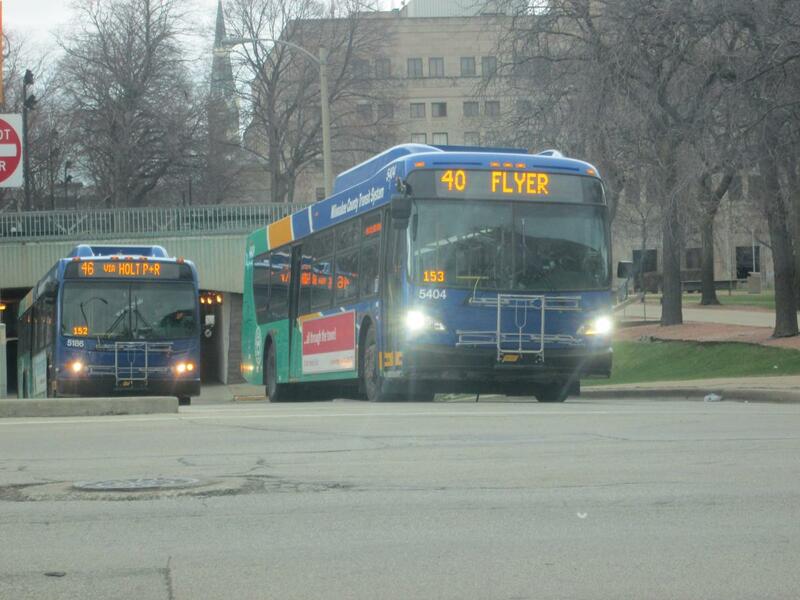 If only MCTS didn't have black rims on all its buses making its livery colors look so gaudy. Folks who've complained about CTA's livery scheme should remember we could have gotten stuck with something like that or worse, similar to the MBTA in Boston or Honolulu's 'The Bus'. As Mel said above, you won't. Whatever happens, the question is what are the terms of the stimulus grants that paid for them. I don't know, in this case, whether the feds are that interested in getting their $2.5 million worth, or just seeing a test. On the 5900s, it seems a combination of the article BusHunter found on the pain it was to get liquid hydrogen, and Ballard apparently not caring about their test vehicles. In this case I don't really see CTA just scrapping them after the test period. As for the 5900s, I suppose that test didn't go too well in that they didn't see revenue service after the test period, and apparently Winnepeg didn't want them back. But back to our 700s, I wonder if these two buses could be "converted" to hybrid buses after the testing period? At 2.2 mil per, I think the 700s would be very expensive parts buses. Now you've got me excited about my stop in Milwaukee in August. 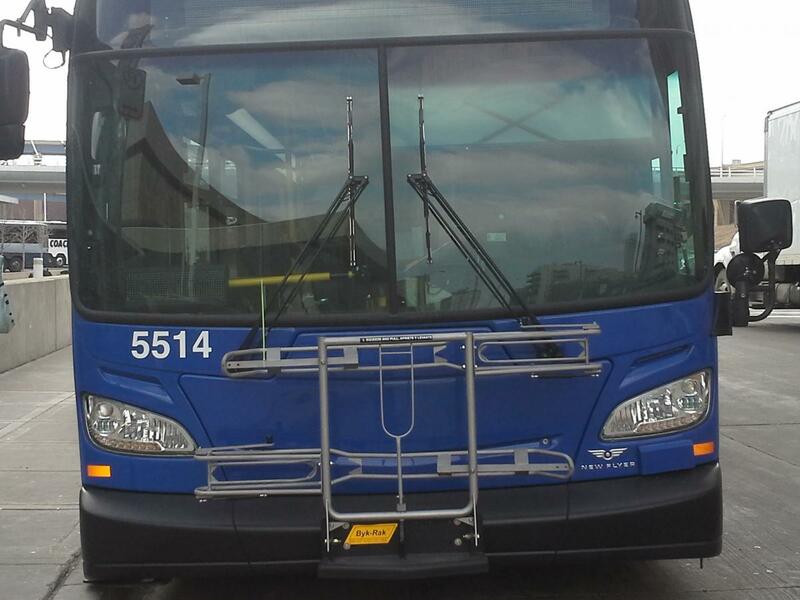 Can't wait to check out the MCTS fleet. I just hope the new smart cards are available by then.